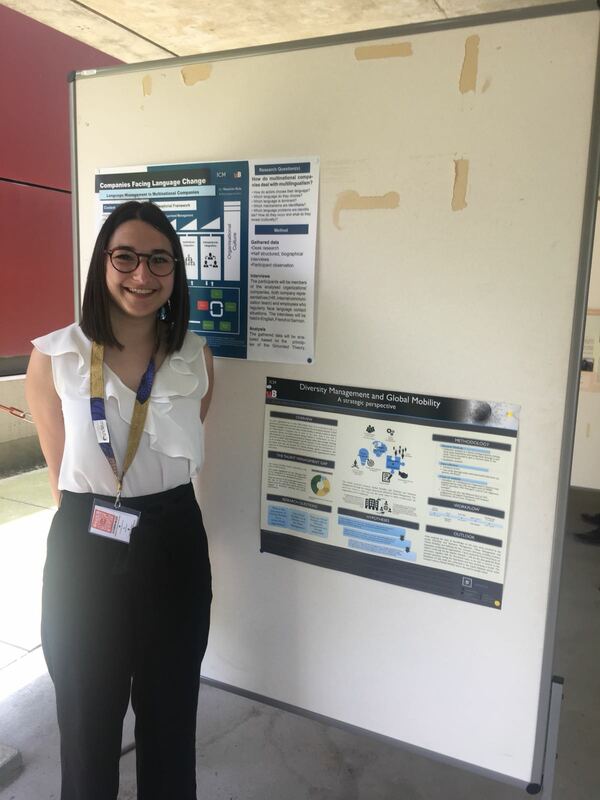 Among the participants at SIETAR Switzerland’s May congress in Lugano were a group of first-year Master’s students from the Université de Bourgogne whose professor, Alexander Frame, specializes in intercultural communication. Professor Frame and SIETAR Switzerland President Anne-Claude Lambelet came up with a plan to enrich everyone’s experience of the congress and, hopefully, provide Frame’s students with some extra experience in presenting themselves and their research. Each student prepared an attractive poster on his or her current research topic, and these were displayed in the courtyard where coffee, pastries, and lunch were served to congress participants. This allowed participants to take their time learning about the students and their research from the posters as they drank their coffee; the students also stood by their posters to pitch their ideas and answer questions. As a result, one of the liveliest activities in Lugano was the Student Scientific Poster Competition. Congress attendees had a chance to study the posters and talk to their creators. Then they voted on their favorites. The three winners of the competition were, first, Mary Emmanuelle Ponce, for her research on diversity and global mobility in developing countries; second, Alessandra Malgeri, for her research on global talent management; and, third, Maurizio Hein, for his work on language management in multinational companies. 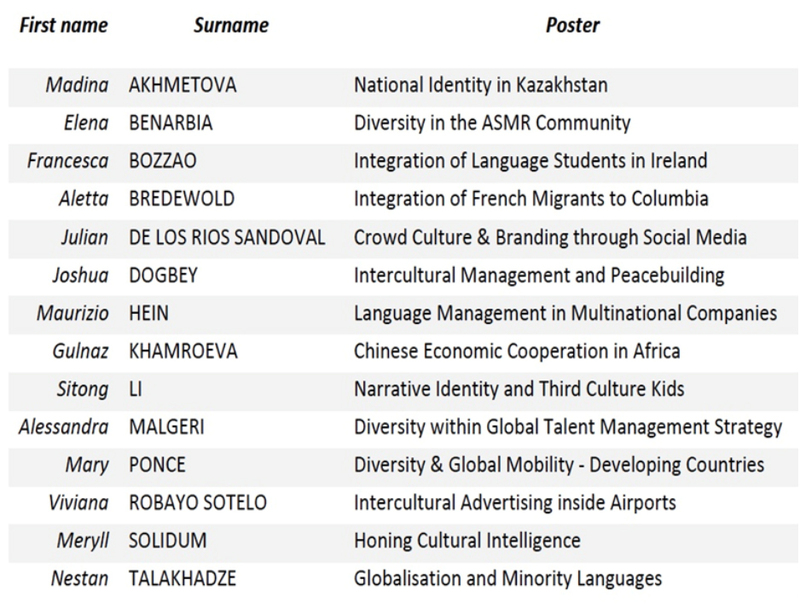 For the names of other students in the Université de Bourgogne’s intercultural management program and the topics of their posters, please see the list below. Alessandra Malgeri’s work, for example, focuses on whether multicultural corporations can improve the quality of their workforce by emphasizing global mobility, employee diversity, and inclusion. Among other points, she proposes to test whether global mobility can be an effective talent-management tool if there is a positive connection between international mobility and an employee’s performance and career development. Kim Hays, PhD, was born in the US and has lived in Puerto Rico, Canada, Sweden, and, for the past 30 years, Switzerland. She has worked in the cross-cultural training field since 1999. She spends most of her time now writing fiction.